It wasn’t even three weeks ago that I first played the demo for Klang at PAX West. Now here it is, in its full glory, on Steam. The demo was one of my favorites from PAX, so I was interested to see how the full game held up. Klang was developed by Norwegian solo developer Tinimations, with music by EDM composer bLiNd. The goal was to create a different kind of rhythm game, one that goes beyond just pressing buttons in time with the music. 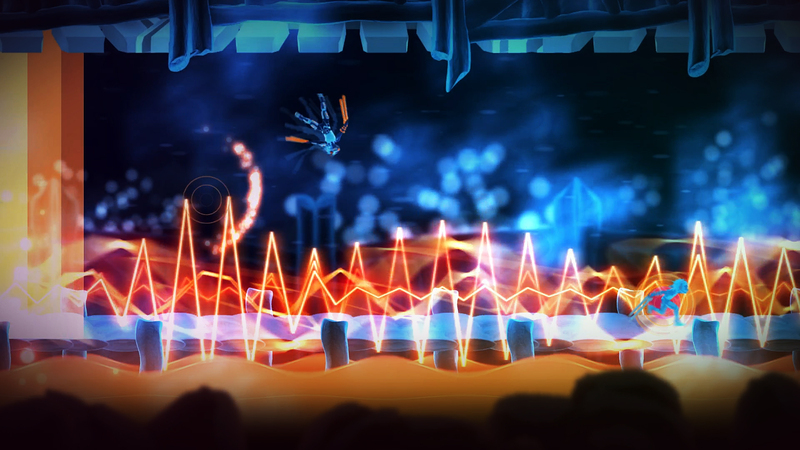 Klang is a free-form platformer, just like any normal one, with environmental hazards appearing and disappearing in rhythm. Combat is also music-based, either hitting face buttons or the appropriate directions on the right analog stick as enemy attacks approach to deflect them. It doesn’t sound too complicated – and on its own, it isn’t – but the difficulty ramps up quickly once combat isn’t the only thing to focus on, which is most of the time. There are always hazards that kill you instantly if you get caught, platforms to jump between, or wind preventing you from standing still. I don’t fully understand what’s happening, but it’s beautiful and I love it. Before I get into that, however, special mention needs to be made for the aesthetic design. 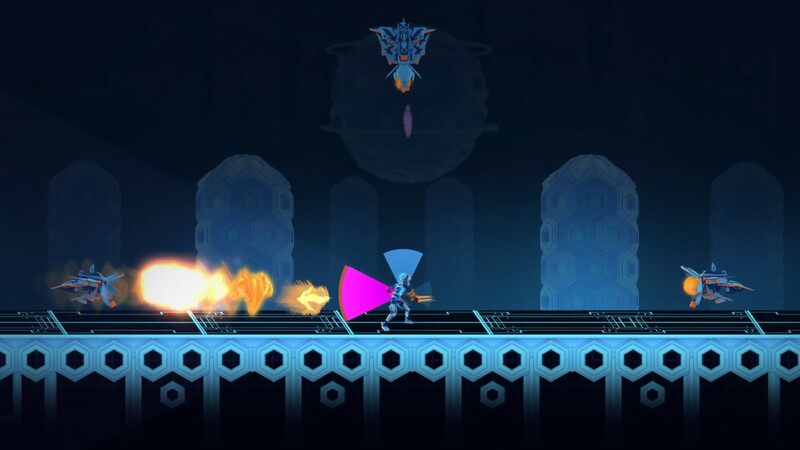 Klang’s graphics are beautiful and surreal, with dark-colored backgrounds contrasting with brightly-colored characters and hazards. Upon death or reaching low health, the colors invert, and as you hit notes correctly, the ambient background color will shift whenever your point multiplier increases. There’s never any doubt about what elements in the environment are dangerous, due to the color scheme and design. There are also nice extra visual touches, like certain areas of the ground lighting up when you stand on them, and whenever the player character moves there is always a blue afterimage in his previous position. Blue and orange naturally contrast each other, and games making extensive use of that particular pair are somewhat rare to see. There are other colors present, naturally, but blue and orange dominate the palette in its regular state. This being a rhythm game, the music and sound are integral aspects, even more so than in other games. If you have listened to certain OverClocked Remix albums, you may recognize bLiNd’s name, but otherwise, you may not know about him. He is an EDM composer, and the sound works perfectly for Klang. 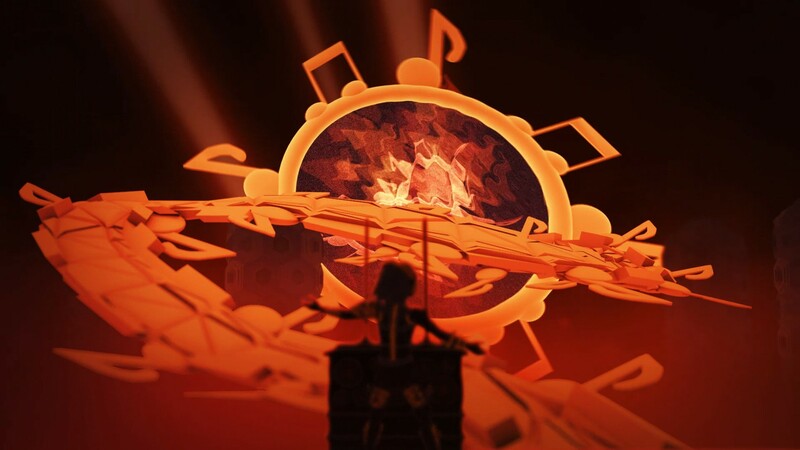 The highly rhythmic music is ideal for a rhythm game like Klang, especially when the proper rhythm is relatively easy to pick out even when one’s attention is divided between dodging and deflecting. Really, the rhythm is the only thing that saves Klang from being unfairly difficult. The music itself is outstanding on its own as well, if you like trance. Aside from the music, other aspects of the sound design stand out as well, such as short musical cues when wall-jumping, and quieter cues when running. These minor aspects help establish the world as one based heavily around music and sound. See that at the bottom? That’ll kill you more or less instantly. Don’t touch it. There isn’t really much story to speak of. You play as a Rave Warrior, and your goal is to overthrow the Soundlord Sonus. The majority of the levels have you scaling Sonus’ tower, taking down other Rave Warriors sent to eliminate you. At least, this is what I got from the plot, based on the introduction on the Steam page and what I saw in-game. The story is conveyed entirely through action, and if I didn’t have the out-of-game exposition I wouldn’t even know as much as I do since it’s frequently not clear what’s going on, who’s who, or what the giant eyeball thing that appears in the background in the tower is. Part of me wishes the story was a bit clearer in the game, but at the same time I realize Klang’s main focus isn’t the story; it’s the gameplay, and it’s the music. As much as I kind of wish there was more exposition, it would’ve made the whole experience less tightly contained, and I respect Tinimations’ decision to keep it as it is. As I touched on earlier, the amount that the player needs to keep track of at any given time makes Klang quite difficult, with gameplay that lends itself strongly towards trial and error. This in itself isn’t a bad thing, since the design supports it with frequent checkpoints (even in the middle of boss fights) and fast respawning. 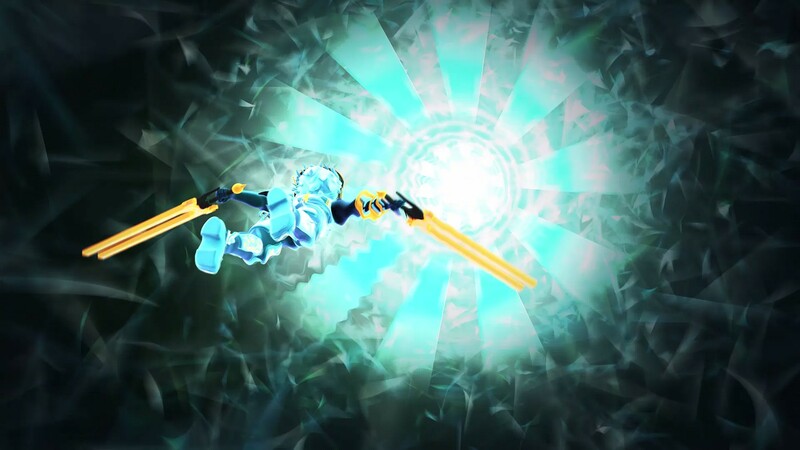 Often, fights have a very narrow margin for error, where a single mistake can often lead to failure due to how difficult it can be to insert yourself back into the rhythm after losing it, especially when the screen is flashing different colors and shaking around as you take damage. That being said, it feels fantastic to play when in the rhythm, easily dodging around hazards while building up the combo counter and multiplier without dropping any hits. It takes practice and forces the player to learn from their mistakes and earn their success. The repeated failure can get discouraging and frustrating, but it’s incredibly satisfying to finally get everything right and finish a difficult stage. One of the only combat scenes I was able to screencap myself. In addition to the two normal difficulty modes, beating the game unlocks an extra “nightcore” mode, as if the game wasn’t difficult enough to begin with. Nightcore mode pumps up the tempo even more from the original versions of the song, making everything in the stages significantly faster than normal. This makes the margin for error even thinner, where missing even a single beat is utterly impossible to recover from unless you’re lucky enough to get a break in the relentless assault before you die. I’m pretty sure that the music in the nightcore mode literally qualifies as nightcore remixes of the regular music, but I can’t say for sure. Between the unlockable difficulty as well as a plethora of other post-game content, Klang brings reasons to keep coming back after taking the roughly 2 hours it takes to finish the main campaign. The platforming is fast, fluid and responsive, even if the controls take some getting used to. It’s a stiff challenge but designed well enough that it never really feels unfair. It’s a real feast for both the eyes and ears, with a striking visual design and some incredible music. It’s available on Steam for $14.99 USD, although it has a 20% discount until September 29. If you feel like challenging yourself while listening to some great music, and don’t care too much about being told a story, I’d recommend you give Klang a look. Right off the bat, you know it’ll be a crazy ride.